A split-level room with eight learning booths (four of which have swivel chairs and are at the same level as the lectern). It provides a comfortable collaborative learning space for up to 50 students. Each booth has it’s own local PC(or laptop connection/Student mode) with 49″ LCD screen, which can also be displayed to the whole room with special software, or mirror the lectern PC projected image(Presenter mode) selected on touch panel. These PCs are similar to the standard Aston pool-room image PCs but are dedicated to, or built-in to, group-work facilities. They are used independently, or may be selected for display on the main, or all screens. 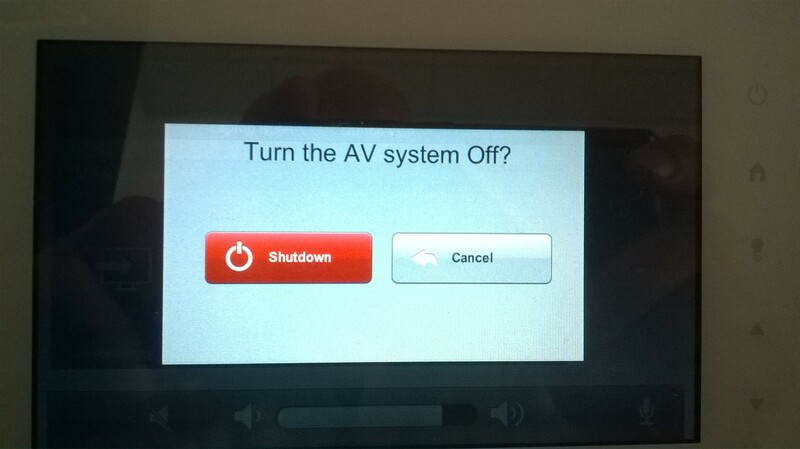 The selection is via either the main control panel or Faronics Insight software (except MB657). 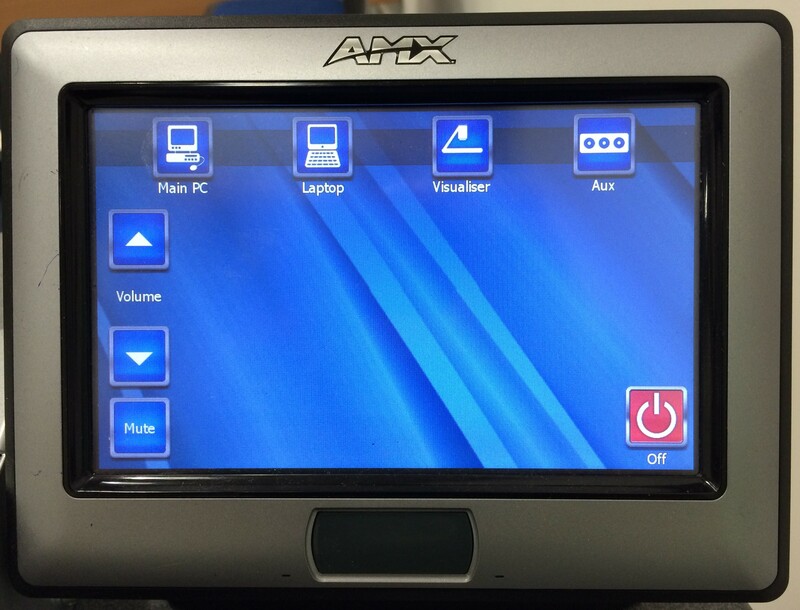 Please ask AV Support for a demonstration and access to keyboards & mice/trackpads. 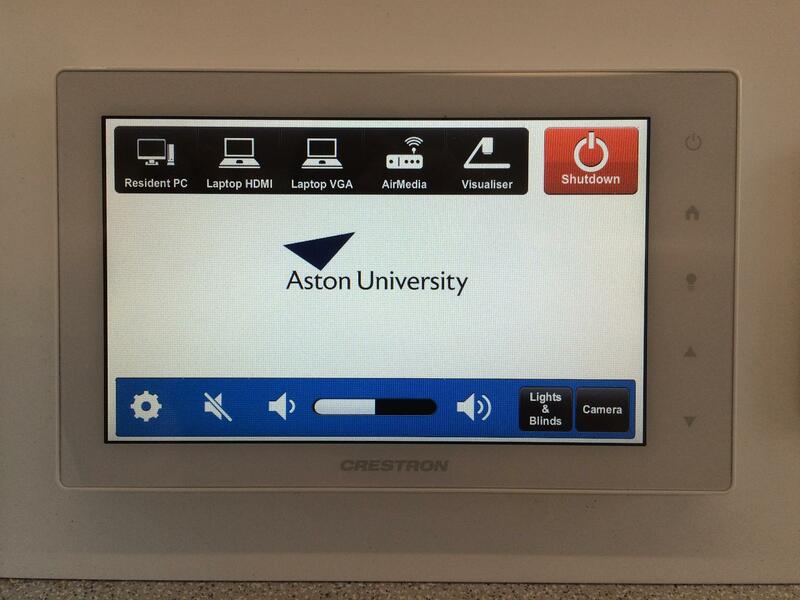 Faronics Insight gives the lecturer(Staff accounts only) full control over the collaborative PCs in the room. 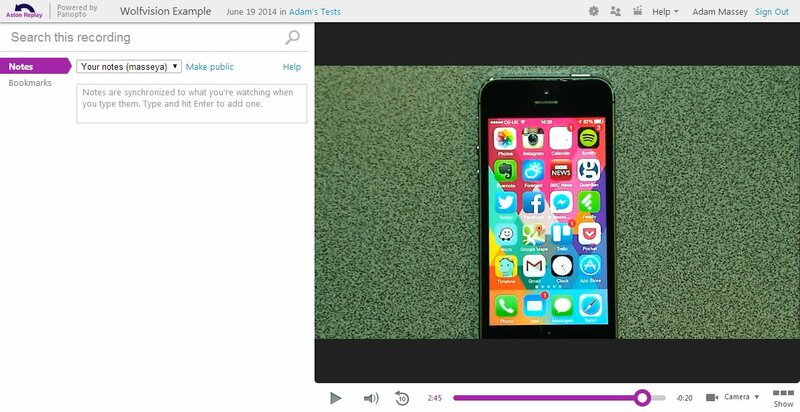 Common uses include the lecturer showing their screen on the students’ PCs, or sharing one group’s screen with one, more, or all of the other groups. In the toolbar, click Class List, then Load Class List. You may need to make the window bigger to see the icon, or you can click the two arrows at the right hand side of the toolbar to show the items that couldn’t fit. 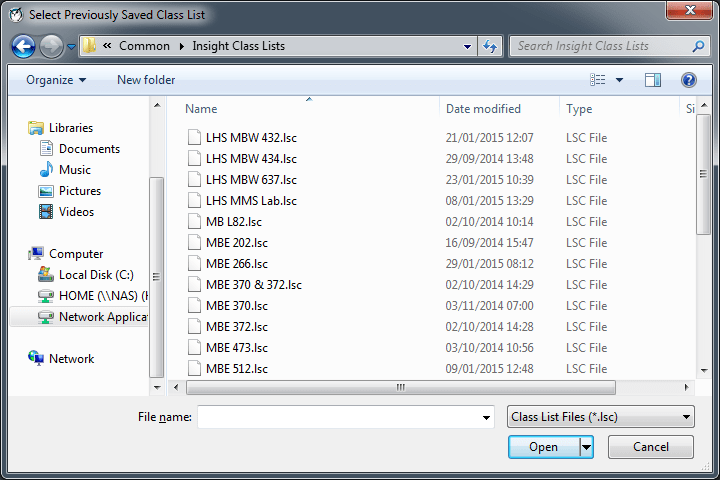 Class lists are located on the X:\ drive, in the Common\Insight Class Lists folder. Browse to there and select the appropriate list for your room. Insight will minimise to the taskbar, the selected screens will show your screen. Rather than press the power button on each PC, you can use Insight to shut them all down at once. 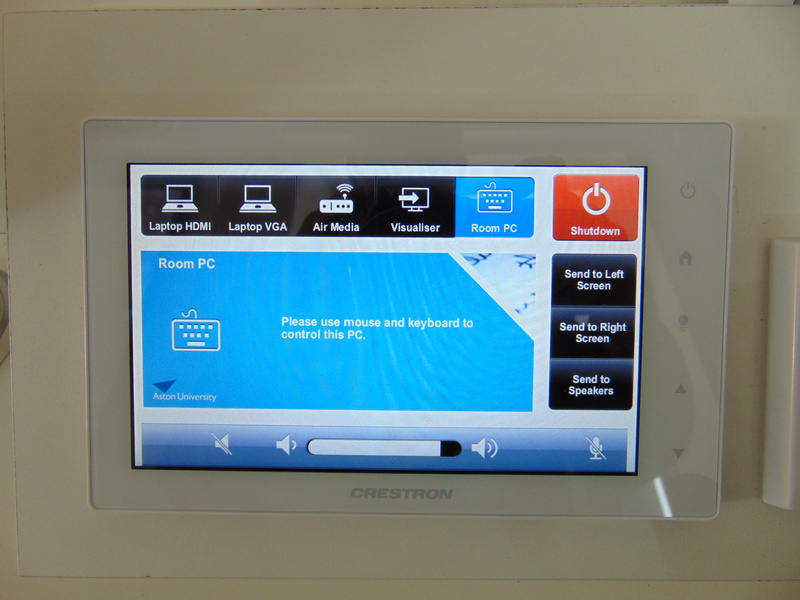 MB512 and SW309 also have hardware mirroring of main screen without needing special software, accessed via the Control Panel. These PCs and the main PC in MB603 all have shutdown set to three hours instead.